The Joseph H. Silver, Sr., LMI Alumni Award was established in 2012 to honor outstanding alumni of the Leadership and Mentoring Institute (LMI) who have exemplified leadership and mentoring within their profession and in civic activities. Dr. Joseph H. Silver, Sr. is the President of Silver and Associates, a full service education consulting firm. The firm has a 15 year track record of assisting colleges and universities with solving complex problems, accreditation issues, and developing sound strategic planning. Dr. Silver was an Advisor to the firm for many years and then served as the Managing Partner. Dr. Silver served as President of Alabama State University, Provost and Vice President for Academic Affairs at Clark Atlanta University, Vice President for Academic Affairs at Savannah State University, Assistant Vice Chancellor for Academic Affairs for the University System of Georgia, and an administrator and Professor of Political Science at Kennesaw State University. In addition to his position in academe, he served as a Vice President at the Southern Association of Colleges and Schools Commission on Colleges (SACSCOC) for several years. Throughout his career, Dr. Silver has developed a reputation as a transformational and innovative leader with great vision and principled ethics. He has sound strategic planning skills and is championed as a strong academic thinker who is well positioned throughout the academy and in the community. His work is recognized on the regional, national and international levels. Dr. Silver was the recipient of a proclamation from the Mayor of Marietta, GA, declaring “Joseph ‘Pete’ Silver Day,” for his outstanding service and leadership to the city and county. Additionally, Dr. Silver received a special citation from the Governor of Georgia for service to the state. He was awarded the Community Service Award by Zion Baptist Church and selected “Father of the Year” by St. Anthony’s Church. 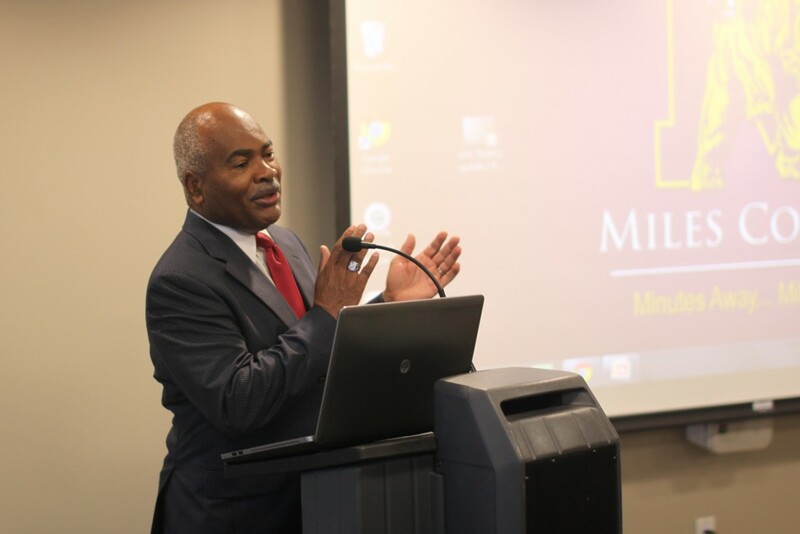 Dr. Silver is the former President of the National Conference of Black Political Scientists (NCOBPS) and the former chair of the AAHE (American Association of Higher Education) Black Caucus. As Chair of the AAHE Black Caucus, he spearheaded the Summit on Blacks in Higher in Education I & II. Moreover, Dr. Silver served as the Director of the Leadership and Mentoring Institute from its inception in 2003 to 2006. He continues to serve as an ex officio and faculty member for the Leadership Mentoring Institute. In March 2012, Dr. Silver received the leadership award from the American Association of Blacks in Higher Education’s (AABHE) and, going forward, the award has been named the "Joseph H. Silver, Sr., LMI Alumni Award." A leadership award was also named in his honor at Clark Atlanta University in 2012. In 2014, the National Association of President’s Assistants in Higher Education awarded Dr. Silver the “Professional Achievement Award” for his leadership in higher education. Dr. Silver is a member of several national and regional boards, honor societies, and is a much sought after public speaker. He is a member of Leadership Cobb, Leadership Atlanta, and Leadership Georgia. A member of AABHE or an LMI alumnus will nominate the LMI alumnus for the award. The nominator must submit a complete set of nomination materials that must include: (1) a CV/Resume of the nominee; (2) a recommendation statement written by the nominator about how the nominee exemplifies the values of leadership and mentoring; and (3) two letters of recommendation in support of the nominee. Specifically, individuals writing the recommendation letters (submitted on organizational letterhead) should include direct observations of the nominee in leadership and mentoring activities within the profession and/or civic activities. Recommendations for nominations are accepted on a rolling basis for consideration. A complete set of nomination materials should be submitted via email to: silveraward@lmiexperience.org with the subject heading “Silver LMI Alumni Award Nomination”. The recipient of the award will be selected by a committee appointed by the LMI Director. The selected candidate will be recognized at the AABHE annual conference and must agree to be in attendance at the conference to receive the award. Note: This award will be given only when the committee determines the nominated individual meets the criteria and embodies the ideals of leadership and mentoring in both the profession and civic activities. Contact the Committee Chair (silveraward@lmiexperience.org) or LMI Director (aabhe.lmi@lmiexperience.org) for further information.